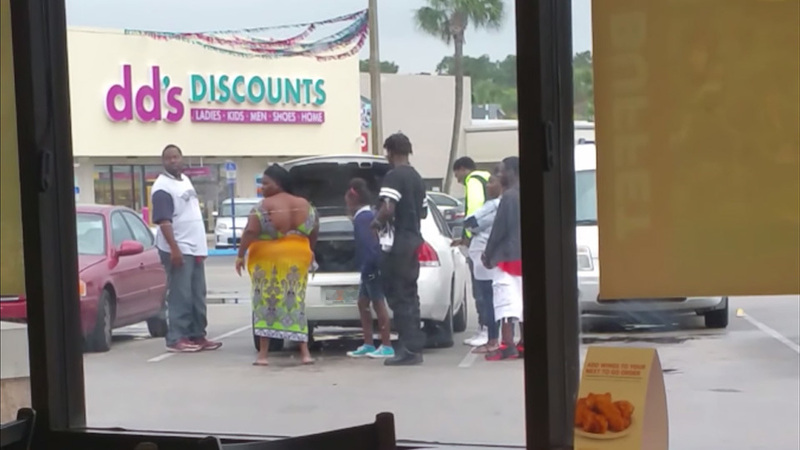 What would you do if you saw a large family piling their kids into the trunk when leaving a restaurant? Would you film it? Would you put it on Facebook? Since uploading the video a week ago, it has gotten close to 2 million views with over 40,000 shares. The video was compelling enough to incite a Department of Children and Families investigation, once the Florida family in question was identified. Florida DCF was able to find the family by enlarging the digital tag in the viral video. What the video captures is disturbing. Robinson first saw the family open their trunk and let four people out when arriving at the restaurant. After eating, the family put the kids back into the trunk. As Robinson noted in the video, the family looked around to see if anyone was recording them. At the end of the video, we see the potential for confrontation as the family recognizes that they are being recorded. Robinson explained on her Facebook page that two of the adults came back into the restaurant to ask if she had a problem, and they were asked to leave by a manager. Robinson laughs as she records the ordeal, probably because of the absurdity of the situation, but there’s nothing funny about what this family did. Seems like it should be a no-brainer, but it is never OK to ride with a person, let alone a child, in the trunk. It’s dangerous and negligent. In a perfect world, Robinson would have called the police right away after seeing parents act like this. But in the heat of the moment, and while witnessing something totally baffling in the parking lot, there’s no telling how most of us would react. Robinson at least deserves a pat on the back for posting a viral video that later led to this family’s investigation. If there’s one thing that’s good about the social media age, it’s that parents can no longer get away with acting like idiots.